Posture correctors are designed to reeducate and retrain your back's musculature to help you develop and maintain a healthier and upright position (Source). Men and women say that these posture corrector/back brace combos provide a gentle reminder to fix their posture. Whether it's to snap out of a slouch, unroll their compressed shoulders, or erect a sagging mid-back. The way they work, they fit over the shoulders and under the armpits and adjust for tightness, allowing you to calibrate a desired posture (Source). The manufacturers generally advise to slowly get used to wearing these corrective braces- start with 20 minutes a day before increasing your usage. They also recommend against wearing them as you sleep. It's best to consult a physician or physcal therapist prior to using one of these devices to ensure that it's a viable solution for your physical complaint. From what we've seen, buyer experience is a bit hit-or-miss. Some have had success using them, but there are some experts who think they can be counterproductive. Remember, you can always buy and return them if they don't work for you. While a posture corrector is a good fix, there are some exercises you can try also. One popular product is the Forward Head Posture Fix. For men and women who want to get rid of their texting neck, fix their posture in order to move, sleep and breathe better, check out the Forward Head Posture Fix. When your head is pulled forward the additional pressure on your neck, shoulders and back rises dramatically causing serious tissue damage. In fact, every inch your head is thrust forward from its natural position adds another 10 lbs of stress on the neck, shoulders, back and spine. This posture corrector offered by TOROS-GROUP is a solid option if you are looking for a100% cotton back support brace.Users like the functionality of this item, but some do complain about the tightness in the abdominal area. This product is designed for formation of the correct posture of kids and adults. It is indicated for skeletal deformations such as kyphosis, lordosis, kyphos coliosis and winged scapula.This item seems like a solid choice if you’re looking for aback support brace that can be used for rehabilitation after injuries and surgery of the thoracic and upper lumbar sections of spine and clavicle. The general user consensus concerning the TOROS-GROUP posture aid is that it is a good solution for problems such as kyphosis. Many users state that this product is well made, comfortable and causes little or no discomfort in the armpit area. As one online reviewer shares,it does offer good support and goes a long way toward keeping you from hunching forward. However, some buyers complain about the aid being wrapped around the abdominal region tightly, which makes it a bad fit for those carrying extra weight in the abdomen. Another downside, as many purchasers point out, is that the directions on the packaging are poor. This posture corrector offered by ComfyMed is a solid option if you are looking for a medical device for improving bad posture. Users love the effectiveness of this product, but some do complain about uncomfortableness while wearing it. This product features a hybrid design of a simple figure 8 brace and a traditional full brace. You can put it on and adjust by yourself. This clavicle support brace might be a solid choice for the treatment and prevention of conditions such as bad computer posture. In general, users have a favorable opinion of the ComfyMed posture corrector.What they praise is that it is well made, effective, pretty comfortable, very easy to take on and off and virtually undetectable under clothes, even when wearing a clingy thin sweatshirt.Therefore, the users highly recommend this product to anyone who sits behind a computer all day. However, some buyers complain about the posture aid hurting their underarms, as well as about the straps that you need to readjust too often. One dissatisfied purchaser says that the product is made of poor material and that it doesn’t really correct posture as much. If you are looking for a top-rated posture corrector, you might want to consider this figure 8 shaped back posture corrector and clavicle brace offered by VOELUX.Users love the effectiveness of the posture aid, but do complain about the lack of instructions. This product improves posture and reduces slouching immediately with easily adjustable dual strap design. The lightweight padded neoprene corrector can be worn comfortably under or over clothing. It eliminates neck and back discomfort caused by long hours of sitting with rounded shoulders in front of a computer. If you want a nearly invisible posture corrector when worn under a shirt, this might be a solid option. In general, users have a positive opinion of the VOELUX figure 8 back posture corrector and they agree that it works nicely to improve posture, which can help elevate lower back pain. As they say, it is made of good quality material and is very adjustable and comfortable. However, purchasers complain about the lack of instructions, which makes it hard to figure out how to put the brace on.One buyer states that the posture corrector is uncomfortable since it doesn’t have padding around underarms. This upper back, clavicle and shoulder support brace offered by VIVE is a solid option for those who want to correct their stooped posture. Users like the usefulness of this aid, but do complain about the size and lack of instructions. This product helps correct and fix chiropractic issues by encouraging proper spine alignment. It features thick and comfortable foam padding, which is great because it gives extra comfort and strong durable hold. This posture aid could be a solid choice if you’re looking for a support brace that will pull back your shoulders while aligning and supporting the clavicle bone. In general, buyers have a positive opinion of the VIVE posture corrector and would recommend it to those who look for something to assist them in maintaining proper posture.They state that it is easily adjustable and not uncomfortable, made of a good quality material that is discrete.Most of them agree that it helps correct poor posture, which helps with back problems. However,many buyers complain about the size being much smaller than advertised. Another frequent complaint is that the item comes with no instructions whatsoever. One dissatisfied buyer shares that the thick straps irritate the skin under his armpits a little bit, which prevents him from wearing it for extended periods of time. 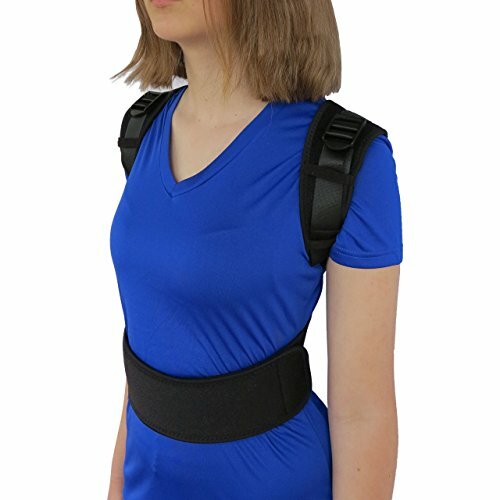 If you are looking for a 2-in-1 posture brace, you might want to consider this posture corrector/shoulder brace offered by POSTURIFICBRACE.COM. Users love its effectiveness, but have complaints about it not being very comfortable. This product is designed to improve your posture by wearing it only 30 minutes a day. You can put it over the shoulder or around the back. Due to its features, it is a perfect blend of comfort and correction. If you are looking for a posture corrector that can be worn in two ways, the Posturific Brace might be a solid option. In general, users are very happy with the POSTURIFICBRACE.COM posture corrector. What they like in particular is that it is simple yet effective, as well as that it is inexpensive, considering the benefits you get from it. All in all, they agree that it is fairly comfortable, easy to put on and that it fits well. However, purchasers complain about difficulties with adjusting the product. Many of them say that you need to readjust it regularly so it sits in the correct position across the back. One dissatisfied buyer states that it digs into the armpits, causing much pain. 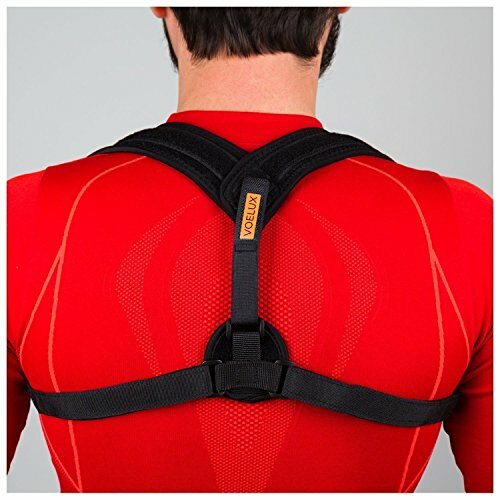 The first posture corrector we examined is manufactured by Toros-Group. They market it towards individuals suffering from lordosis, kyphoscoliosis, kyphosis and winged scapula. In addition, examining their marketing materials, they describe this posture corrector as an adult and child-compatible option designed to provide medical rehabilitation in the event of surgeries or injuries to the upper lumbar section of the clavicle and spine. As well, it's engineered to stop progressive spinal curvature as well as reducing scoliotic decompensation. This orthopedic appliance, they say, should be used three hours a day, most commonly. They advised that, initially, you should wear it for under half an hour at a time- but slowly you can begin increasing the length of time you wear it for, for example adding 20 minutes every day. They are also careful to caution prospective buyers that you shouldn't wear this as you sleep. 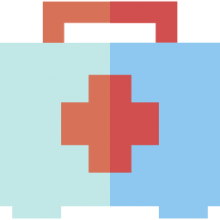 Besides just recovering from injuries or surgeries, some physical rehabilitation specialists also say it can provide pain relief from strenuous activity- helping with muscle spasms, strains, and sprains. Over time, it is s designed to keep you from slouching and developing chronic pain conditions associated with bad posture. Buyers say that you can disguise it beneath a sweatshirt, so if you are wearing it underneath a T-shirt it is pretty noticeable. Buyers say they purchased it to counteract the effects of scoliosis in conjunction with stretching exercises as indicated by physical therapists. One user says that he is satisfied with it- complimenting the quality support and how it keeps him from hunching, though he does say it binds a little bit too tightly across his stomach area. 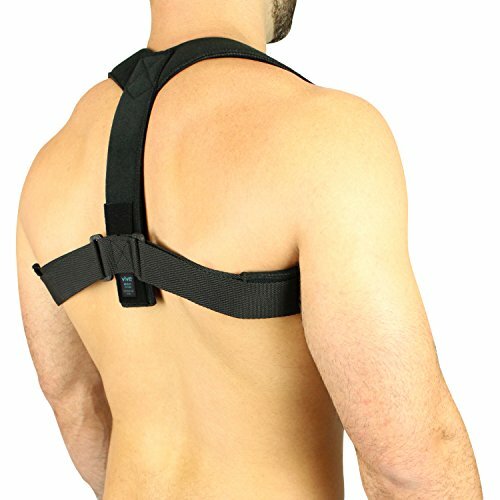 Another reviewer who suffers from a bad back tells us that it feels like a weight belt and helps maintain a more straightened and erect posture as he walks. Another elderly buyer purchased the back brace and tells us it is one of the more comfortable options he has used. What we've seen is that buyer experience with these posture correctors is incredibly subjective- it will depend on what you are trying to accomplish and the fit of the particular corrector you end up purchasing. The second posture support brace we examined is provided by ComfyMed. It's designed to help improve poor posture and shoulder alignment, alleviating upper back pain- available for both male and female users. ne reviewer says that, initially, it was uncomfortable, but as he grew used to wearing it and tinkering with its different adjustments, he found he can wear it for longer stretches of time. The primary complaint, it seems, is that the straps can painfully chafe your underarms- this doesn't affect everyone and really boils down to your particular physical dimensions. The third adjustable posture corrector we examined is provided by Voelux. This one is interesting because it provides an option for teenagers. Examining their product description, it's marketed as a means of reducing back and neck pain associated with shoulder slumps while sitting in office chairs. They describe it as a means of re-educating your back muscles to help you develop improve posture that decreases spinal pain and strain. One reviewer with a 9-to-5 office job tells us that after a decade of working in a cubicle his upper back has become incredibly painful from extended sitting. Because this device trains his upper back to maintain proper posture it has decreased his back pain as well as overall improving the quality of his day-to-day posture. The fourth option that we examined is the Vive posture corrector- it's designed for men and women, helping to promote proper neck and head alignment as well as addressing stooped and poor posture. One reviewer tells us that the way it works in his instance is that if your shoulders roll forward the posture corrector makes it feel uncomfortable, conditioning you to re-orient your shoulders to a better alignment. Other buyers say but that their posture has been slumped for such a long time they don't even realize it- this posture corrector helps to retrain their bodies, alerting them to bad posture so that they can consciously fix it over time and maintain it more naturally. The last option we examined is the Posturific. This particular orthopedic device can be worn around the back or over the shoulder- this provides greater flexibility in terms of how it is employed. One buyer tells us that her office job was causing her back pain, which she felt also resulted in chronic migraines. Besides experiencing near immediate pain relief, over time she tells us that her posture is being retrained so that she doesn't slouch as much or experience the painful tension headaches that were plaguing her work today. While overall she was satisfied she does say every so often and she'll need to readjust it so that it's in the best position. Other computer users tell us that over time it's completely changed how they sit at their workstation- concealed easily beneath their clothes, though somewhat evident if you're wearing just a T-shirt.